This is an original personal letter and drawing from the Warner Bros. Studios. This personal artifact was saved by an ink and painter from the studio, as she was the recipient of the letters. It appears by some content that the sender was also a woman, but there is no specific identifiable information on this letter or any of the others that this was originally saved with. 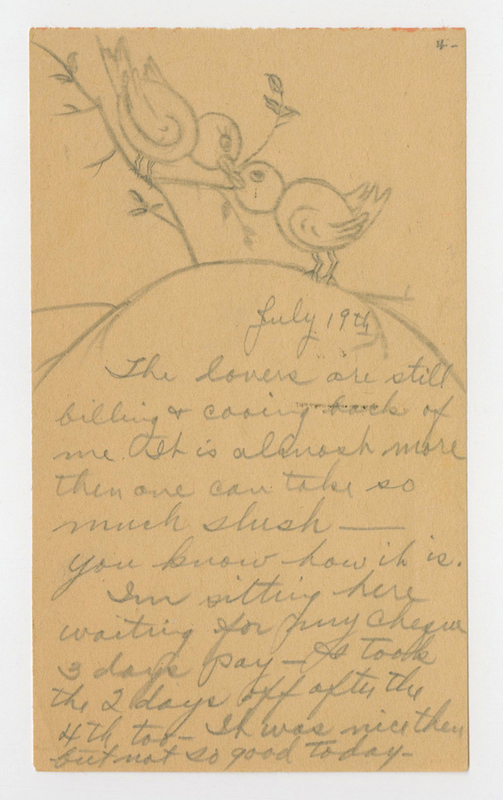 The card measures about 5.25" x 3" and features a drawing of two cooing love birds.